Llewellyn's 2014 Magical Almanac is a necessity for anyone who wants to do spellworking while using astrological and timing symbolism. 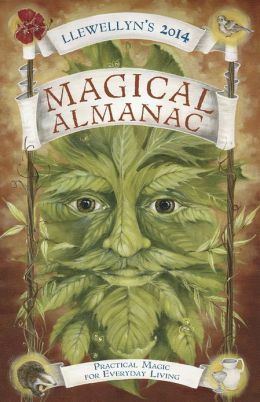 The almanac includes every single day for the year, with information such as incense correspondences, moon phases, sun sign correspondences and other information. This will allow you to incorporate astrological timing to gather in those energies for your working as well as plan ahead for any detailed and/or serious spellworking you wish to do. Just before the almanac there is also a glossary to explain what each of the timing and astrological aspects is. This is very good for anyone new to this side of spellwork. The pages before and after the almanac itself are separated into the four elements (earth, air, fire and water) and includes fun, excellent articles on subjects such as; death works and funerary rites, beach magic, woods and resins for spellcraft and many, many other subjects. The 2014 Magical Almanac is really an essential book for anyone who likes to use astrological timing in their spellwork.